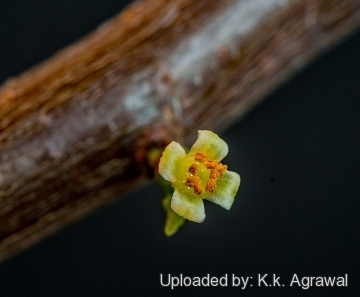 Beautiful tiny flowers of Bursera microphylla comes first when growth starts, then comes the leaves, then the fruit. Origin and Habitat: Mexico ( Baja California, Baja California Sur, Sinaloa, Sonora and Zacatecas) especially common and conspicuous in in western Sonora and almost all of Baja California with a few marginal populations in south-central Arizona (reaching northern limits in some Phoenix-area mountain parks) and extreme southern California. Its distribution nearly coincides with the extent of the Sonoran Desert. Altitude range: From near sea level 915 metres. Habitat and ecology: Sonoran desertscrub in slopes, bajadas, canyons, arroyos and plains. Bursera microphylla is the most northerly member of the Burseraceae in North America and also perhaps the most xeromorphic species within the genus as it thrives in the extremely arid desert. 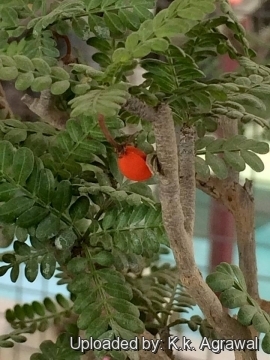 Birds appear to be primarily responsible for seed dispersal in Bursera. While the aromatic sap of this and other burseras smells pleasant to humans, it tastes foul and functions as an herbivore deterrent. This defense is apparently effective, since the Bursera's foliage is nearly always intact. Description: Bursera microphylla is an odd glabrous, pachycaul shrub or low branched tree 2 - 6 (-8) m tall. It has several contorted trunks up to 30 cm in diameter and reddish branches which are swollen with water-storage tissue and covered with whitish sheets of thin, peeling bark. The stems and the finely divided, shiny green leaves are highly aromatic. It is very decorative in nature, but unluckily slow-growing in cultivation. Seedling plants lack the thickish succulent nature of trunk and branches for many years. It may leaf out in any month in response to rain, but stem growth is mainly in summer. The plants are dioecious or mostly so. The flowers, which open in summer, are tiny and inconspicuous. It lends itself perfectly to chuhin (midsize bonsai). Stem: Trunk and branches fat and semisucculent, often contorted tapering rapidly and suggesting the trunk of an elephant. The wood pithy and soft. Bark green becoming whitish-ochre, peeling in large papery strips especially during spring dry season. Young twigs maroon to red-brown. The thin bark transmits sunlight to chlorophyll-bearing tissue in the stems, which can thus conduct photosynthesis when the plant is leaf-less. The branches and roots when deeply chopped ooze blood-red sap. Long shoots with relatively long internodes. 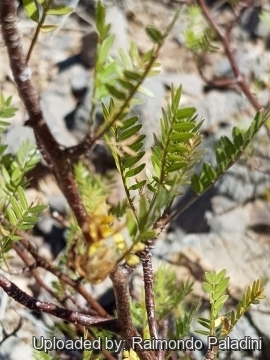 Leaves: Mostly crowded at apices of short shoots, imparipinnate, without stipules, glabrous, dark glossy green, 1.5-7(-8) cm long, rachis narrowly winged. Leafstalk flat-tened. especially when young and grooved. Leaflets in 3 - 15 pairs, linear, narrowly oblong, or rarely lanceolate or oval 5 - 25 mm long, 1 -2 mm wide. Leaves are drought deciduous, and plants are leafless part of the year, and generally remain leafless during coldest part of winter, but depending on the rains a plant may gain and lose its leaves at almost any time of year. Flowers: 1 or 2 to several per cluster, cream white to pale greenish yellow, ca. 2 mm wide. Buds rounded yellow. Male flowers: Mostly with 5 sepals and 5 petals. Female flowers: Usually with 3 sepals and 3 petals. Fruit (Drupe): 3-valvate, 7-9 mm long, fleshy but hard, dull reddish-purple and glaucous when fresh. Seeds: 3-angled ca. 6 mm long completely covered in a paper-thin reddish-orange aril. Similar species: This taxon is variable and hybridize in nature with sympatricaly grown species and form a taxonomically difficult group. Bursera morelensis Ramirez and Bursera multifolia (Rose) Engler have been considered synonymous but appear sufficiently distinct to be retained, both are native to S Mexico. The plants in some Arizona populations look quite different from Mexican plants and may be hybrids or a new species. The other desert species of Bursera, are scarcely succulent and not easily confused with B. microphylla. But two unrelated plants look almost the same when not in leaf: Pachycormus discolor (in the cashew family Anacardiaceae) and Jatropha cordata (a member of the spurge family Euphorbiaceae). These three look-alike species are prime examples of convergent evolution. 5) Wikipedia contributors. "Bursera microphylla." Wikipedia, The Free Encyclopedia. Wikipedia, The Free Encyclopedia, 3 May. 2014. Web. 16 Aug. 2014. 6) Mooney HA, Emboden WA Jr (1968). 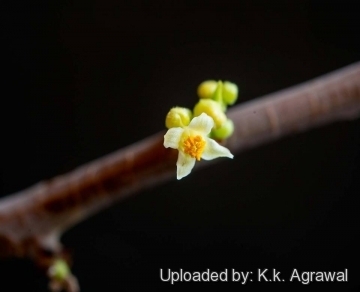 "The relationship of terpene composition, morphology, and distribution of populations of Bursera microphylla (Burseraceae)". Brittonia 20: 44–51. doi:10.2307/2805460. 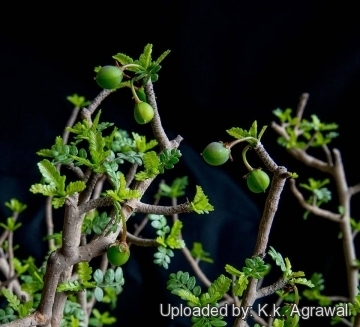 Growth rate: Growth is more slow than Bursera hindsiana . Soil: Not picky about soil it do well in a draining cactus potting mix. Hardiness: Hardy to -4°C they prefer a dormant, winter rest period, but for safe cultivation it is best to avoid temperatures below 5° C.
Exposure: It needs full sun. Waterings: It needs regular water when the plant has leaves, contrary to popular belief, it likes a lot of water in the warm summers to encourage faster growth, as long as it's planted in a very well draining soil. Indoors it is best to err on the dry side, or it is prone to rot. 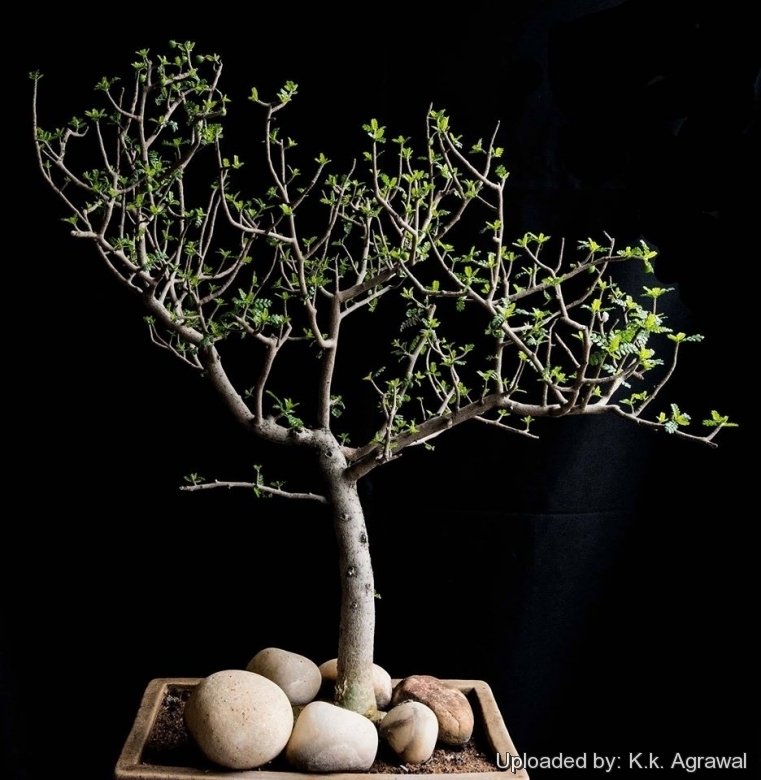 Bonsai culture: It can be trained as a bonsai, pinch and prune plants in spring and summer but taper off in autumn so the tree can store energy for the winter instead of using it to put on new growth before resting. Traditional uses: Sap and leaves extremely aromatic. The aromatic oils has been utilized in a variety of medicines such as treatment of headache, cuts and scratches, lice, skin diseases, sores. stingray wounds, and venereal disease. The bitter fruit stimulates salivation and the Seri sometimes chew it to quench thirst. They used the soft wood to make boats. The sap is used to seal cracks in boats and pottery. Other uses include, facepaint, fire-making drills, kindling. The Yaqui have carved pascola masks from the wood. Propagation: By seeds or cuttings. Seed viability appears high regardless of season of collection. Seeds germinate germinate quite easily in 4-14 days in warm weather and seedlings develop rapidly. Cuttings made in summer may form roots and begin vegetative growth within eight weeks.